Just another week of trying out the juice detox. We've enjoyed the detox...kind of, more like, the day after a detox is quite nice, but the actual day of detox leaves us with a headache and ready to retire to bed early and STARVING the next day. 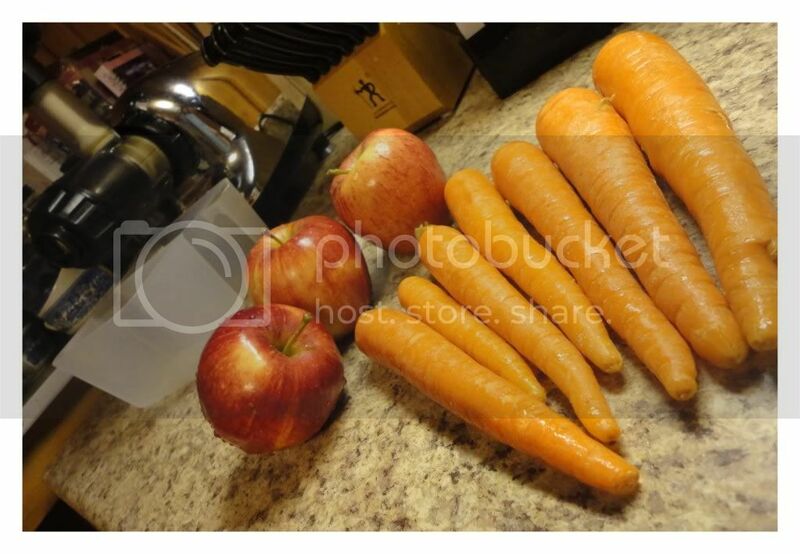 Regardless, Carrots and Apples are a good juice combination whether your detoxing or just want a fresh cup of juice.